For Calynn Colceri, shifting to a suite from basic booth rental was an easy decision to make. Last spring, Calynn Colceri saw a sign for a new Sola Salon Studios location in Phoenix, and knew it was a no-brainer for her to switch from booth renting to personal “salon ownership.” She signed her Sola lease for before the walls event went up. A 10-year salon veteran, Colceri says she has always acted fast when she knew a decision was right for her. When she realized beauty school was her calling, she finished high school a year early and enrolled at the Toni & Guy Academy in Scottsdale, Arizona, here she again graduated early after being certified in the school’s custom cut and color techniques. Color is Colceri’s main interest and inspiration, and she says a commitment to continuing education is what helps her stand out and keep her skills strong. 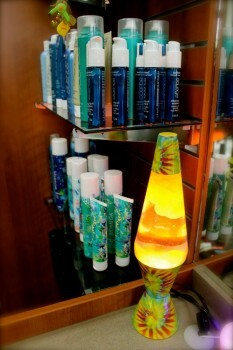 She has studied color mastery in lines including Schwarzkopf Professional, Matrix, Redken, Keune and Beth Minardi Color. Colceri says making “smart product choices” in both color and retail is an important part of her success, and that the “product cash bonus” that she received when signing with Sola was part of the studio model’s appeal. She also values the autonomy and control she has in running her own business. She has a lot of pride in her business and her studio space, and it shows. 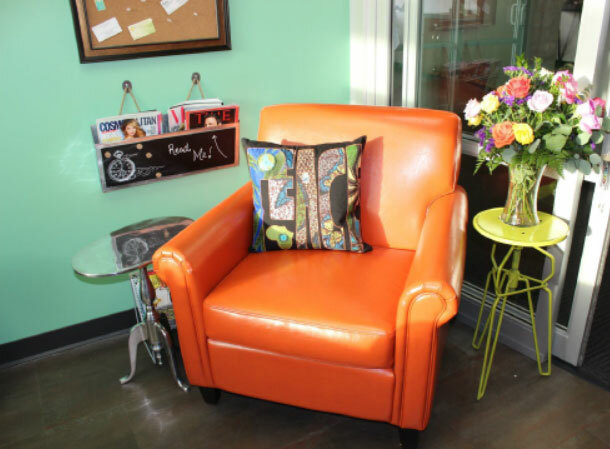 She keeps her salon tidy and and her funky orange leather chair has is an icon for her clients, who sense her genuine excitement and constantly refer friends to “The Modern Hippie,” the official salon name. Calceri says the name evolved from an inside joke between her and her mother, but accurately reflects both the laidback vibe and contemporary, professional approach she brings to her salon services and business. The Modern Hippie has character and personality, just like its owner.